We want to thank all of our donors for their generous and loving gifts. Through your monetary gifts and acts of service, together we are able to make a tangible difference in the lives of the people of Lesotho, the Mountain Kingdom. You all play an important role in bringing hope to these beautiful people and for that we are so very grateful. 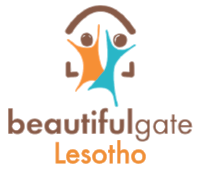 BHF is so very grateful not just to our amazing sponsors but to the many foundations and individual companies that have participated in collaboration with Bountiful Hope Foundation, or have offered their support in helping bring smiles of hope to so many beautiful souls in Lesotho Africa. Please feel free to explore the talented teams below!